The Zips beat Western Michigan in the opening round of the MAC Tournament, 79-78. The Zips finished the game strong to seal the victory and advance to the next round, keeping their season alive. For the Zips, Daniel Utomi lead the way in the scoring column as he scored 26 points. The biggest star of the game was freshman guard, Virshon Cotton, who scored 21 points and seven assists. The beginning of the game did not seem favorable for the Zips, as they found themselves down 18-0. The deficit grew to 23 points. Akron finally caught fire at the 8-minute mark. An all team effort followed and brought the Zips back into the game. The once 23 point lead was now down to four as the Zips and Broncos headed into the locker rooms at halftime. In the second half, the Zips built off of their momentum and found themselves taking a lead over the Broncos. The Zips were up by 12 points with six minutes remaining in the game. Every time the Broncos looked to respond, the Zips had an answer for them. With 45 seconds left, with a chance to go to Cleveland on the line, the Zips held a 77-70 lead. Several Zips turnovers created scoring opportunities for the Broncos. The Broncos capitalized on the turnovers by going on an 8-0 and took a 78-77 lead with under 6 seconds left. Coach Groce called a timeout in order to draw up a play. Vershon Cotton inbounded the ball to Daniel Utomi, who immediately gave it back to Cotton. Vershon raced up the floor getting all the way to the rim and was fouled on the shot attempt. The freshman managed to sink both free throws to put the Zips ahead, 79-78. The Broncos had one last chance to win with 0.7 seconds on the clock, but missed at the buzzer. 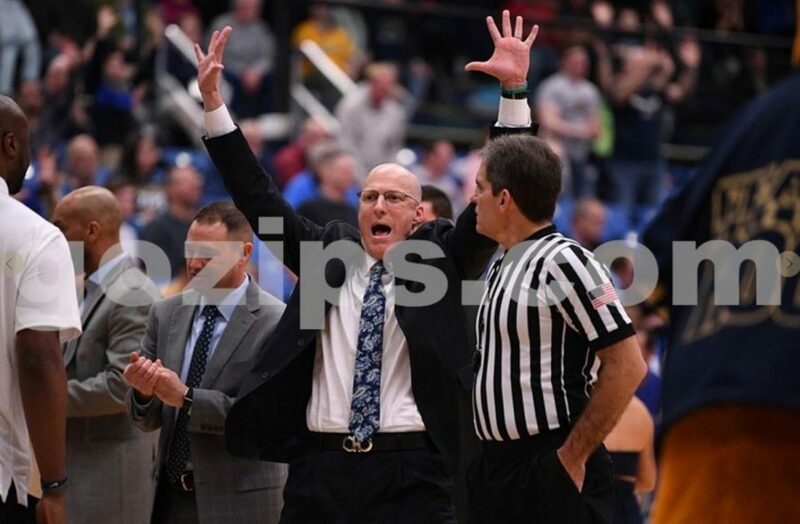 The Akron Zips have now punched their ticket to Cleveland, and the hopes qualifying for the NCAA Tournament are still alive. Awaiting them is Eastern Michigan, a team that beat Akron earlier in the year, 63-49. The quarterfinal matchup is set for Thursday, March 8 at 9 p.m. The winner of the game will go on to play the winner of Toledo and Miami (OH). For more information on tickets and the MAC Tournament go to gozips.com.